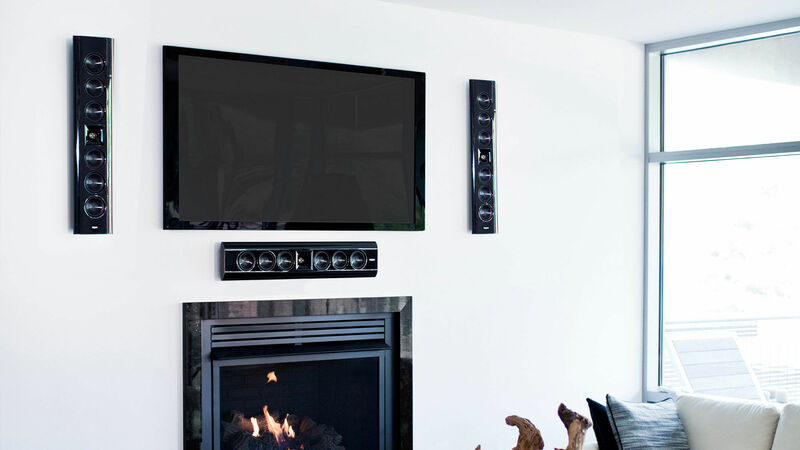 Flat Panel TVs look great, especially if they’re mounted to a wall and all the wires are hidden. Now it’s time to complete the look. Klipsch flat panel speakers are designed to match your flat screen while still providing the quality audio performance you demand. Klipsch flat panel speakers come in a variety of sizes and designs allowing you to find the right model to best match your flat panel. Whether you’re looking for a sound bar, or three speakers to help build your 5.1 surround sound system, Klipsch flat panel speakers are designed to match you glossy television, while sounding better. Klipsch Gallery® flat-panel speakers transport you to the movie theater with real cinema sound and professional, quality audio. These speakers blend seamlessly into your home's interior.